Rajasthan Police Recruitment 2018: Rajasthan Police has given a notification of 13142 Constable General, Constable Driver, Constable Operator, Constable Horseback (Ghudswar) and Constable Shwan Dal Vacancies from the male and female candidates. The interested candidates can apply for Rajasthan Police Constable Vacancy 2018 on or before 14.06.2018. Rajasthan Police Recruitment 2018-19 notification is out. 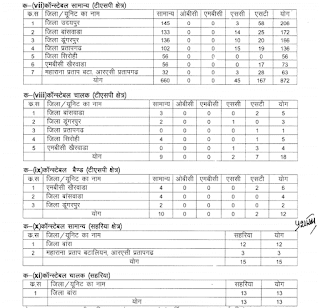 As per the Notification, there are 13142 Constable General, Constable Driver, Constable Operator, Constable Horseback (Ghudswar) and Constable Shwan Dal Vacancies. The educational qualification for RAJ Police Bharti is 8th, 10thand 12th from any recognized board. The age requirement is 18 to 23 years, for more details you may check below. If you are looking for Jobs in Rajasthan Police then this article is only for you. 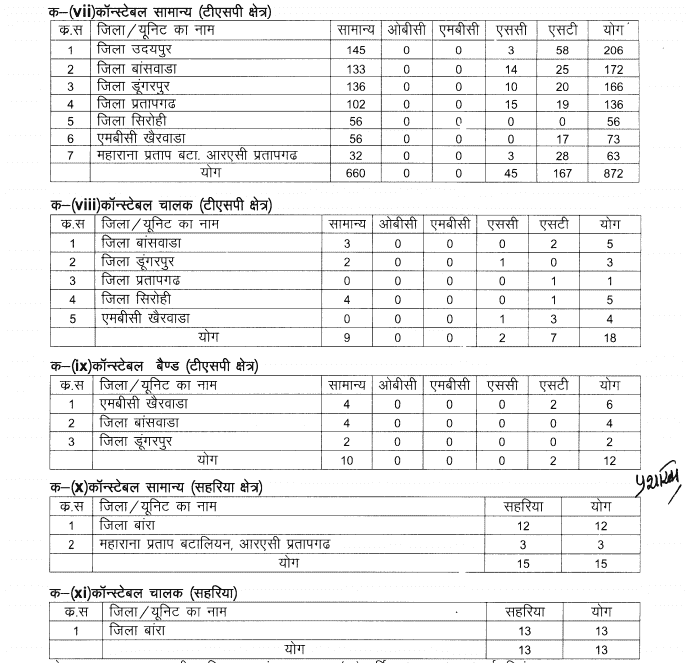 We have provided the Rajasthan Police Vacancy district wise details here. District Police/ Intelligence Matriculation from any recognized board or institution. R.A.C Bataliyan/ 8th standard from any recognized board. Maharana Pratap Bataliyan/Police Door Sanchar Bataliyan Higher Secondary (10+2) in science, physics, maths from any recognized board. Note: LMV/HMV License is necessary for constable driver post. Rs. 14600/- Per Month (Fixed Remuneration). न्यूनतम उचाई 168 से.मी. 152 से.मी. 160 से.मी. 145 से.मी. सीना (पुरुष) बिना फुलाए: 81 से.मी. लागू नहीं बिना फुलाए: 74 से.मी. The examination for the Rajasthan Police Recruitment is expected to be held in the month of August 2018. Thus you will be able to download the admit card in the month of August. Admit card is very important, as you will only be allowed to enter the examination hall if you are carrying admit card with yourself.